Backup Camera, I4 Hybrid, ABS brakes, Leather-Trimmed Heated/Cooled Sport Bucket Seats, Navigation System, SYNC w/MyFord Touch. Gas or electric? This Fusion Energi accomplishes both! You will not find a better deal on the award winning Fusion! 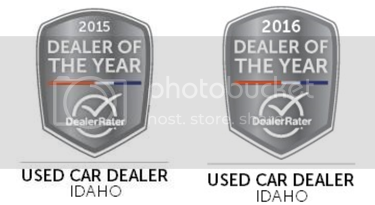 Image Auto Sales | Boise Used Car Dealer has been visited 12,795,822 total times.